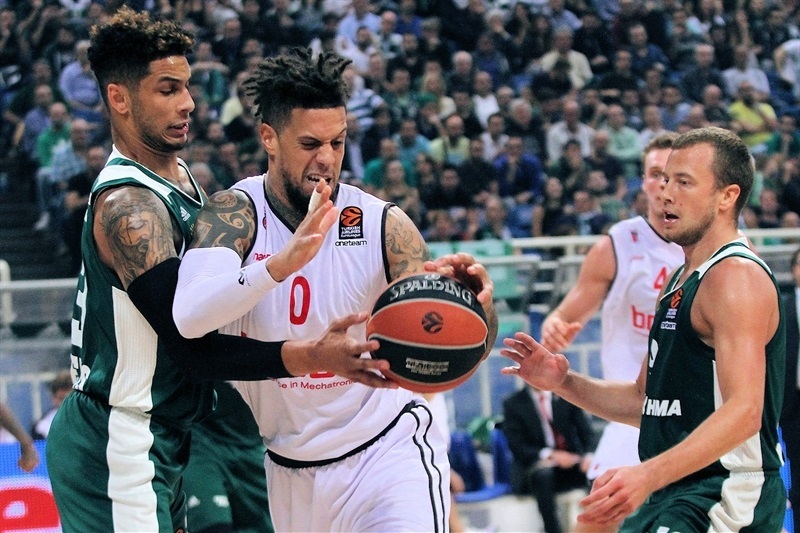 Panathinaikos Superfoods Athens registered its first win of the season by downing visiting Brose Bamberg 93-83 on Thursday night. 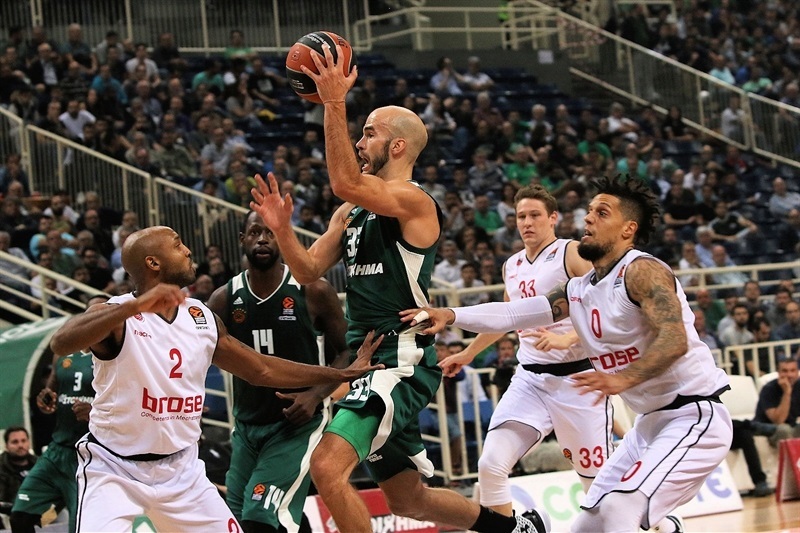 Nick Calathes matched his career-high with 23 points and Chris Singleton scored all 15 of his points in the second half as Panathinaikos improved to 1-1 on the young season, while Bamberg dropped to 0-2. The Greens trailed for only 40 second in the first-quarter, using 6-of-9 three-point shooting in the first half and then 3 triples early in the second to open an 18-point margin and cruise to victory. 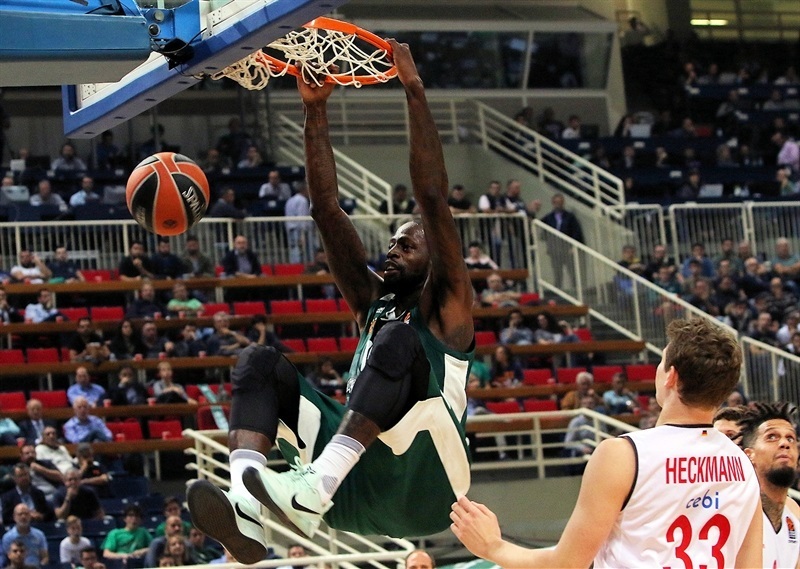 Calathes also had 6 assists and 4 rebounds, James Gist and Ian Vougioukas scored 11 apiece, and Luka Lekavicius had 10 in victory. Leon Radosevic and Ricky Hickman scored 19 points each for Brose and were the only visiting players in double figures. Calathes wasted no time in getting it going, scoring a triple and adding a put-back early on. 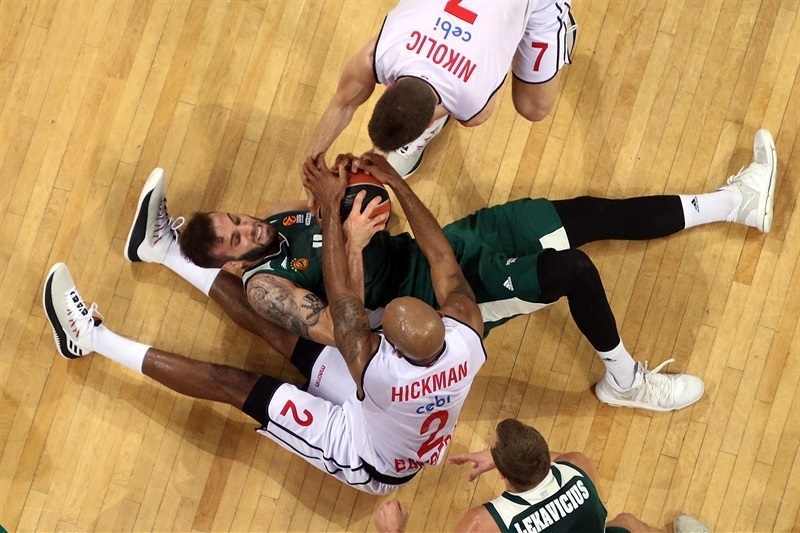 A pair of baskets from Vougioukas and another three from Calathes opened a 12-8 advantage. 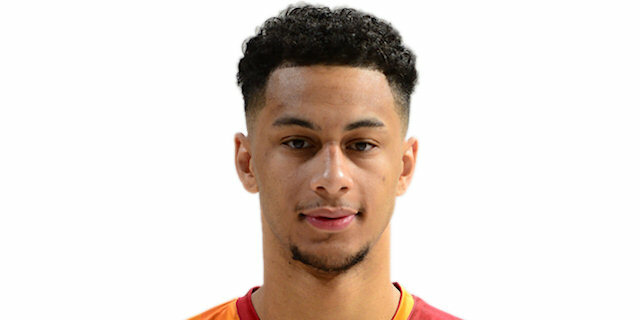 Maodo Lo hit a shot with his toes on a three-point arc and then one from well beyond the 6.75-meter line as Bamberg tied it at 15-15, however Calathes was at it again, first assisting Gist for a monster alley-oop slam, then hitting a triple and banking in a runner to give the hosts a 22-15 advantage after 10 minutes. 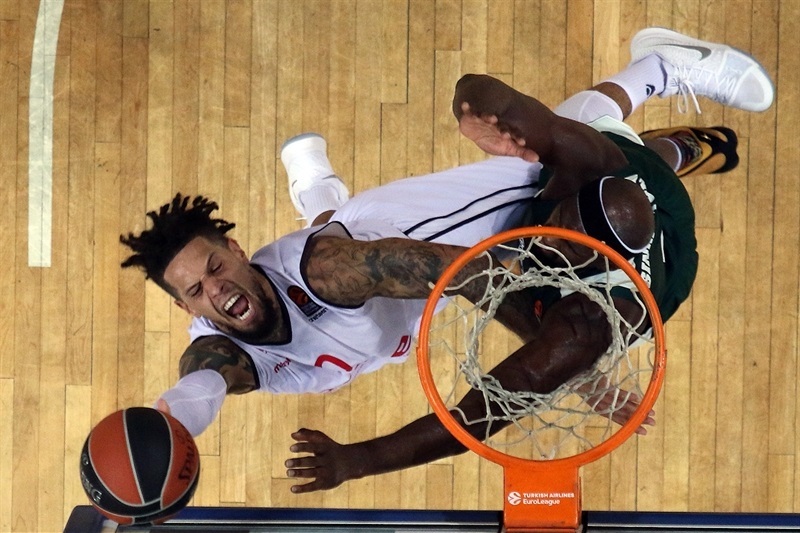 Three-pointers from Aleksej Nikolic and Lucca Steiger got the visitors within 24-23 in the second quarter, but that’s when Zach Auguste sparked Panathinaikos. His two baskets and a blocked shot, followed by triples from Lekavicius and Gist, opened a 38-30 lead. 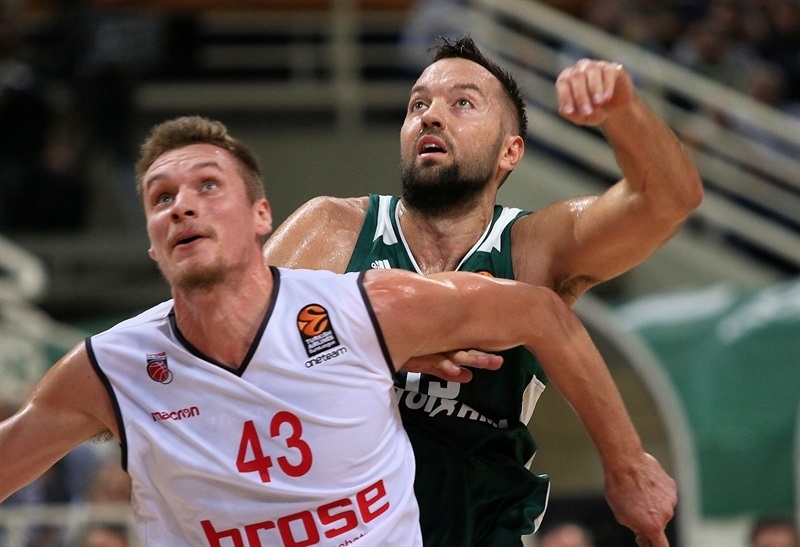 Radosevic made a series of mid-range jumpers from all angles in the second quarter to keep Brose in touch, but a long two from Lekavicius and a three just before the halftime by K.C. Rivers put Panathinaikos up 43-35 at the break. 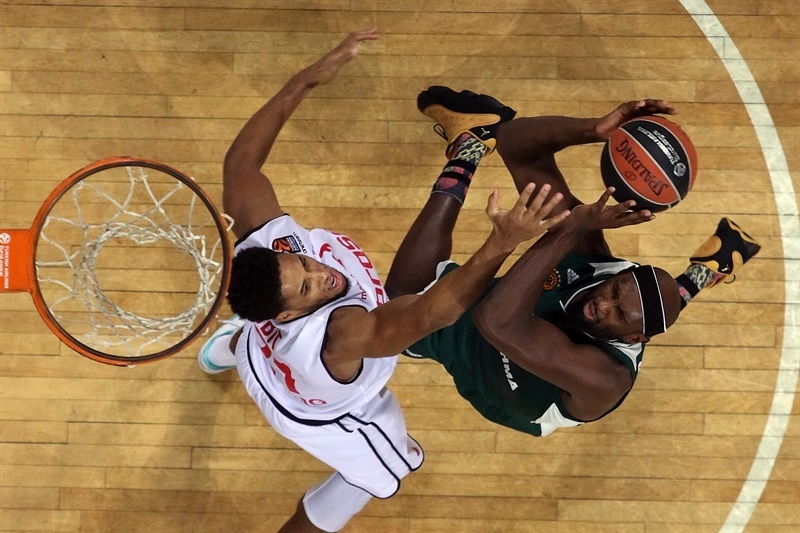 Panathinaikos extended the lead into double digits right away in the third quarter with a three from Singleton. Baskets from Vougioukas and Calathes from close range, and Marcus Denmon from long range, opened a 57-39 lead. Hickman and Hackett hit three-pointers for the visitors, but Vougioukas and Singleton kept the margin in double figures. Another Hickman three cut it to 65-54, but the hosts went into the final quarter up by 13 points, before a Singleton three, Lekavicius jumper and a three-point play by Nikos Pappas extended the margin to 82-65 midway with five minutes remaining. Despite a large deficit and time running out, the visitors never intended to give up, as Hickman and Steiger hit threes that forced Panathinaikos coach Xavi Pascual to call a timeout. But Gist scored twice inside to not allow Brose to even dream about a comeback. "I think we played a very good game on offense. Mainly, for 40 minutes we played very well on offense. In the first half we did not score free throws, and that is why we did not score more points. On defense, more or less first 30 minutes we played well, but after that, especially in the last five minutes we lost concentration on defense. 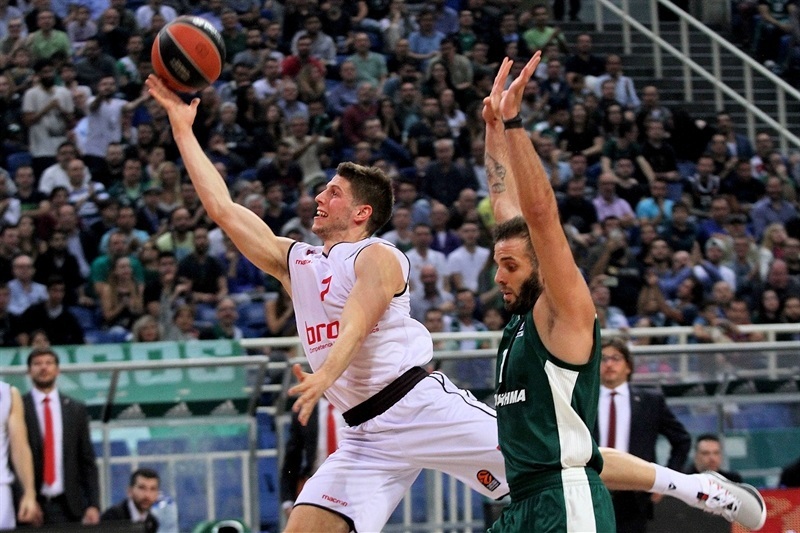 But it was a great game for us to start the EuroLeague at home, and it was an important win." 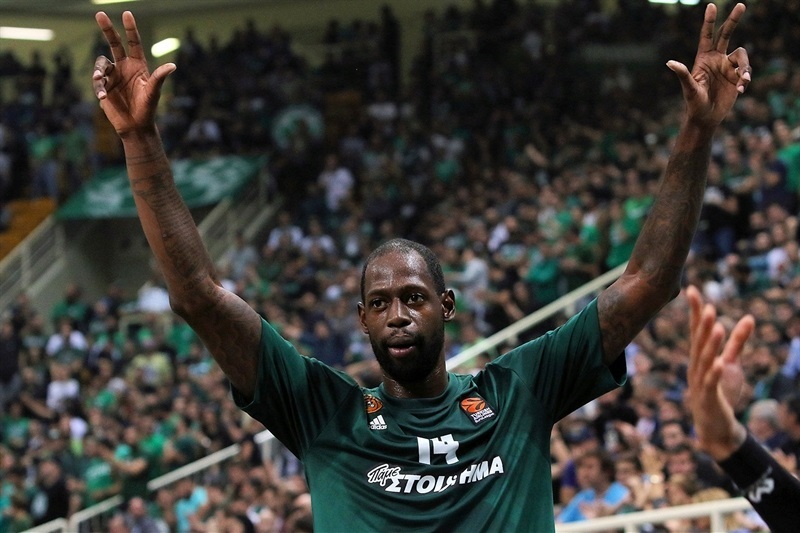 "Congrats to Panathinaikos. We made a small step in improving. We competed until the end. We lost a game, but I believe Panathinaikos needed to take out of the bag some special things, like three-pointers from Calathes, Lekavicius and Gist to do it. We started the third quarter bad, we missed two players and another one got hurt in the opening minutes. But I think we made an improvement. It was not enough to win in OAKA, but being a completely new team with a lot of new players I think we made a very good first step towards our improvement. Last week we melted down after 35 good minutes. Today that did not happen. We stayed in the game. They were hitting big threes, but we stayed in it." "I think we had a great game. 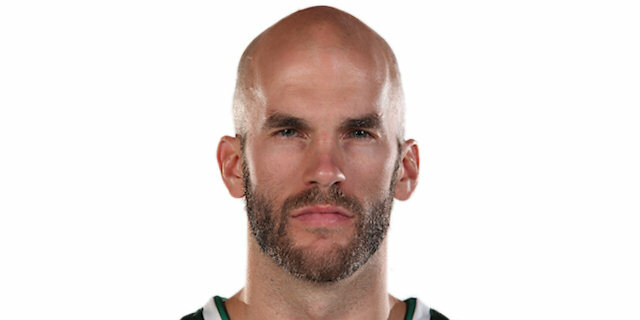 Nick Calathes came out strong, led us to a great victory. I think this game was necessary, especially after our loss at Barcelona, I think we needed to make a statement. Moving forward, we can learn from this and continue to improve." "I think it was a must-win game for us, especially at home after losing at Barcelona. We came here with a right mindset defensively, after giving up almost 100 points in Barcelona. We wanted to start with defense, and then offense will takes care of itself. I think we did a good job on the defensive side." 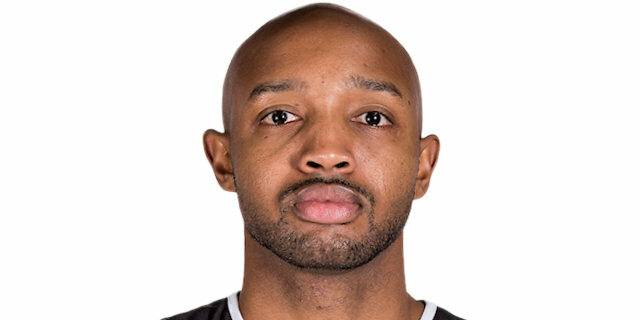 "It is early in the EuroLeague season. We are still finding each other as team. It is hard to play here as an away team. 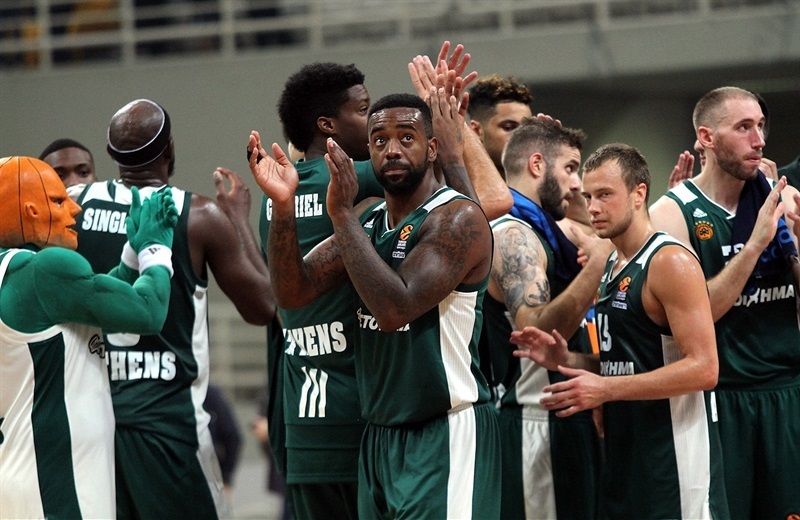 Despite the fact that we were on the road, we had a solid performance, but it was not enough to beat Panathinaikos." 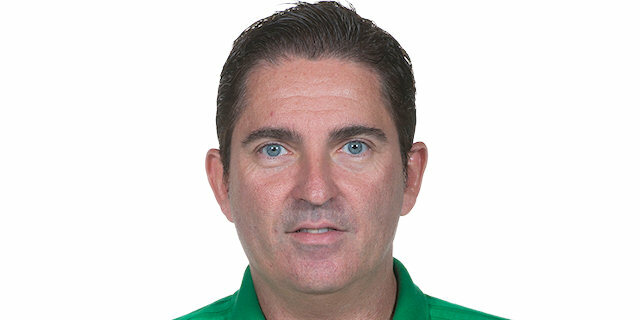 "It is always tough when you visit Panathinaikos. But we definitely learned in this game you have to stay focused for the whole possession. 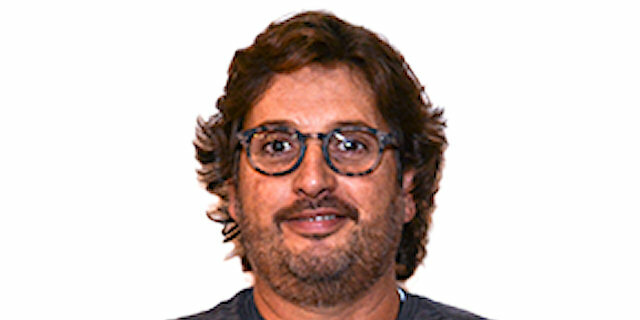 There were several times where we played good defense, but then the last 5 or 6 seconds they got a loose rebound or made a shot. 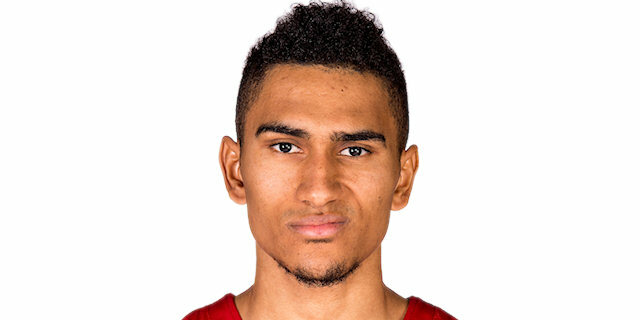 We got to improve on this game and get ready for the next game."